After three years of planning, the film COLD WAR 2 (HONG JIN 2) finally started production. Three actors Aaron Kwok Fu Sing, Tony Leung Ka Fai and Eddie Peng Yu-Yan were even more anxious than the audience. Lately they have already launched a war online. Earlier Eddie posted a photo of him pointing a gun at Sing Sing, who lived up to this title of new police chief. Not only did he not panic but also successfully "struck back", as he pointed a gun at criminal Eddie. Finally they even posed for a photo together! 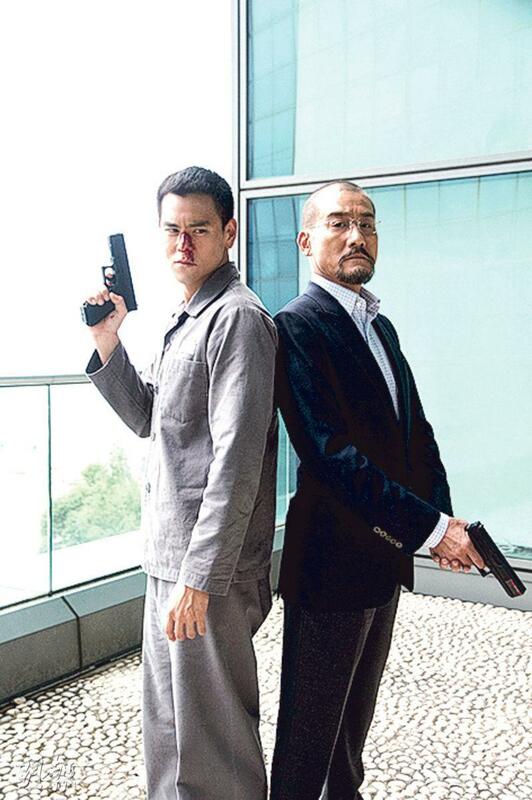 The film COLD WAR was a commercial and critical hit in 2012 during its Hong Kong release. Its Hong Kong box office made over HK$44 million to become the year's Chinese film box office champion. This time COLD WAR 2's team was even stronger than the first film, including Hong Kong Best Actor team and Taiwan hunk team. The Best Actor team not only had Sing Sing and Ka Fai but also the mighty Chow Yun Fat for a Best Actor trio! As for hunks, aside from Eddie and Aarif Rahman (Lee Chi Ting) from the first film, Tony Yang and Chang Kuo-Chu also joined the ranks. The over half a century old Chang Kuo-Chu's dominance in the film made even Ka Fai praise that he was cooler than his son Chang Chen! Earlier the directors Sunny Luk Kim Ching and Longman Leung Lok Man led the actors and action director Chin Kar Lok to the production start worship ceremony then proceeded to start the production. Earlier Charlie Yeung Choi Nei, Lee Chi Ting, Chow Yun Fat and others will join the fray. Ka Fai and Eddie reunited that day as on screen father and son and gave each other a loving embrace. They even made faces for photos. Eddie was also excited to see his idol Sing Sing, then he posed for photos with his first time in a Hong Kong film friend Tony Yang. Eddie even joked, "We are the most handsome killers from Taiwan!"